It’s been a rather odd, interesting, not-exactly-positive week of coverage surrounding the Cincinnati Reds—though to be fair, the majority of it has been focused on not-exactly-current members of the organization. Nevertheless, we like to check in now and then on what others are saying about the hometown ball club. And remember, it doesn’t matter who “they” are, just that “they” are saying it. If you’re feeling more of a less negative Reds vibe this afternoon, check out our post on why Homer Bailey is worth that $105-million contract…and then imagine that he’s sharing it with you. A throwback photo of Pete Rose graces the upcoming cover of Sports Illustrated, which features an excerpt of Kostya Kennedy new biography, “Pete Rose: An American Dilemma.” The book allegedly looks at Rose’s life as a player and in retirement, and questions how the Hit King’s sins against baseball compare to the steroid-induced transgressions of more recent years. Personally, I just hope the boycott doesn’t last all season. Honest, candid, outspoken BP is far more entertaining than quiet, angry, spurned BP—at least in my opinion. 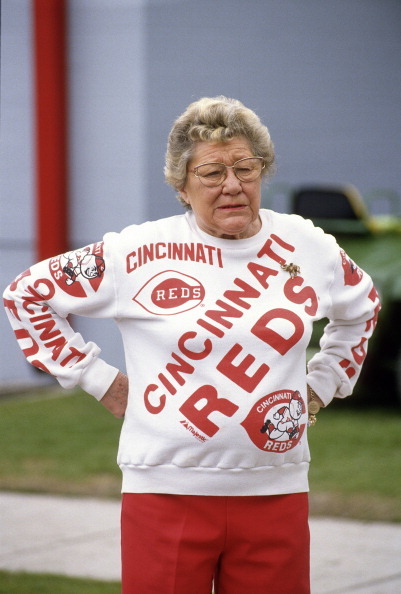 This past Sunday was the 10-year anniversary of controversial Reds owner Marge Schott’s death. This season also marks 30 years since she took over the franchise and 15 since she sold controlling interest. A piece from Mike Bass on ESPN.com examines how Schott’s politically incorrect style would be embraced (or not) in today’s culture and her legacy as one of the sport’s most controversial figures.